Objective Braze brass fitting with o-ring to various diameters of copper tube. Material Various copper tubes ranging from 3/8” to 7/8” diameter and 2-3’ long, female brass fittings with o-ring, silver solder rings and glass beaker. Process A three turn 1.5” ID helical coil is used to heat the junction of the 3/8” (9.6mm) dia. copper tube and brass fitting. 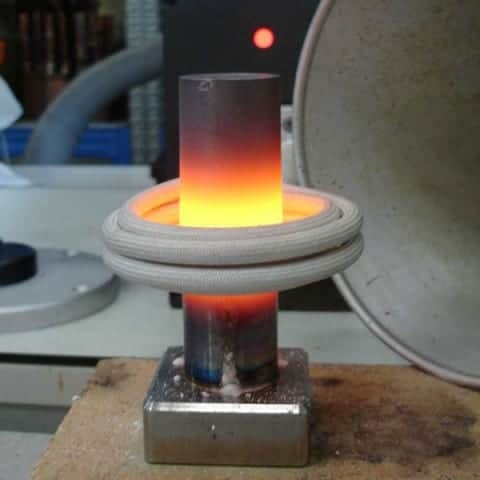 The brass fitting is placed on a ceramic mandrel in a beaker of water and half of the fitting is submerged in the water to protect the o-ring from melting. Heat is applied for 30 seconds, making the solder ring flow evenly creating a strong aesthetically pleasing bond without overheating the fitting. The 7/8” (19.8mm) dia. copper tube is brazed with a slightly larger three turn coil. 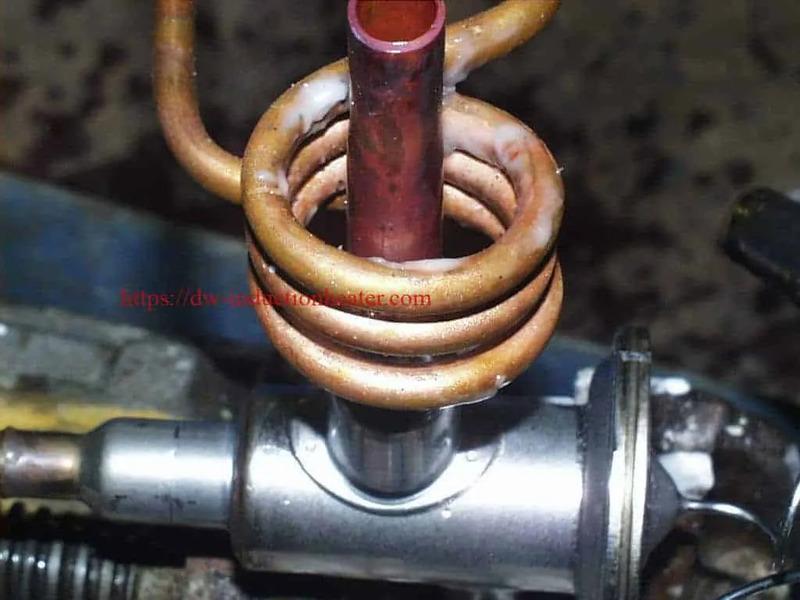 • Ability of coil to be used with water bath process allows for stability of the o-ring.